This app-enabled ‘smart’ mirror is beautiful, but pricey. It seems fitting that mirror tech is the newest craze in consumer products. After all, makeup is a big part of at least half the population’s daily morning routine. We saw Haier’s Magic Mirror at CES 2016, but there’s no word on when (or if) that product will ever hit the U.S. market. Luckily, there are other options for the mirror-obsessed. 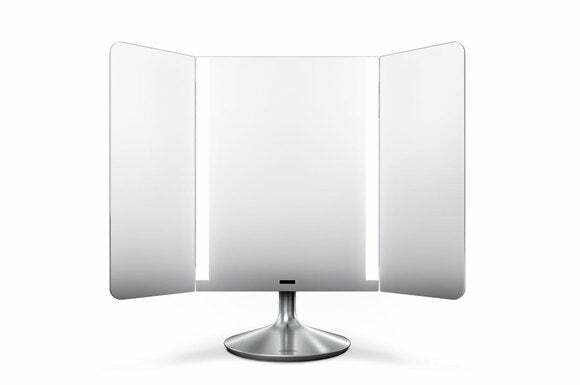 Simplehuman’s Wide-view Sensor Mirror won’t show you the weather or Facebook updates, but this trifold LED-lit vanity mirror has its own tricks up its sleeve; namely, it can adjust lighting conditions based on photos taken with Simplehuman’s app. Oh, and it costs $400. That’s right. $400. For a mirror. You can buy an entire vanity for less; alas, it won’t have a beautiful, stylish, app-connected mirror attached. But $400? You can control the color temperature of the LEDs in the gaps between the three mirror panels. The Wide-view Sensor Mirror is pricey, but it’s absolutely gorgeous. When I first took it out of the box, I seriously reconsidered whether $400 was too much for such a large, beautiful mirror. Let’s just say it exudes the same elegant minimalism as other Simplehuman products, and its brushed-aluminum finish—including on the back—will match your $170 trash can and $60 soap pump. The mirror measures approximately 16.1 inches tall, including the stand, by 20.3 inches wide. Its round base measures 7.1 inches in diameter. The mirror is fixed on the stand vertically—you can’t move it up or down—but the stand does allow you to adjust the angle of the mirror from 90 degrees (perpendicular to your table) to about 45 degrees. The mirror is composed of three parts: the main center panel, where the sensor and lights are mounted, and two hinged wings you can turn in to provide a wide-angle view of your face. SimpleHumans app (iOS only for now) offers five preset lighting modes. Two soft, frosted-glass LED strips run down the sides of the center panel. 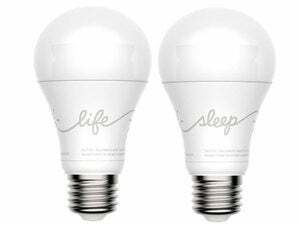 By default, these LEDs give off a full-spectrum “natural daylight” color, but this can be changed via the Simplehuman app. A sleek black sensor with a thin LED near the bottom of the center panel indicates the mirror’s battery life and charging status (green for charging/full, red for low). This sensor turns the mirror’s LEDs on when you sit in front of it (or, when your face approaches it). Simplehuman says this sensor is “adaptive” and will become “more sensitive” when you’re in front of it, so the mirror’s lights won’t accidentally turn off while you’re doing your makeup. That sounds like hype to me; but the mirror never turned off while I was in front of it, so there you go. The back of the center panel sports a small silver power button on the right side and an indented Micro-USB charging port on the left. The mirror’s battery lasts approximately three weeks on a full charge, assuming you use the mirror for about an hour each day. I look at myself a lot, so battery life was closer to a week and a half in my experience. But the wireless design is a big plus, because many lighted vanity mirrors require AC power near your vanity. The Wide-view Sensor Mirror gets its smarts via Simplehuman’s app, which is iOS only at this time. You need to pair the app on your smartphone or tablet with the mirror in order for the two to work together. This is a simple one-time process in which your turn the mirror off and then hold the power button down while you power it up again. This puts the mirror into “linking” mode so the app can find it (the software steps you through the process). Once the two are linked, you’ll see a representation of the mirror and its battery status on your device. The app has three parts: Light Modes, Alarm, and Sensor Settings. 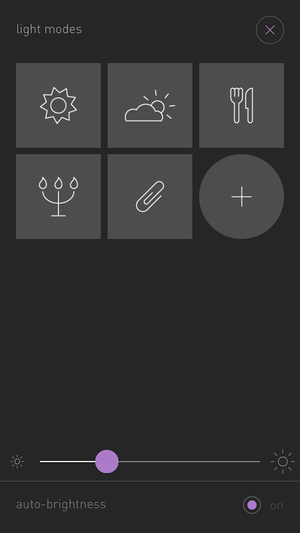 As you’ve probably guessed, Light Modes is where you control the brightness and color of the LEDs; as such, it’s the most interesting part of the app. There are five preset light modes: Daylight (warm natural light), Overcast (blueish natural light), Dinner (warm indoor light), Candlelight (dim, warm light), and Office (bright fluorescent light). You can tap a plus symbol in the app to create a custom light mode based on a selfie. Tap the plus symbol, and your front-facing camera will activate. Take a photo of yourself in the lighting you want to optimize your face for, and the mirror will do its best to mimic that light. You can name the custom light mode and save it in the app for the future. The alarm feature can help you keep to your schedule. This feature might not seem very useful at first, but it’s perfect for special occasions (such as weddings), where you want to make sure your makeup matches the venue. It’s also nice if you simply want to customize your presets; not all offices feature harsh fluorescent lighting, for example. There is a minor drawback to this feature, and it’s that you must take photos within the app (you can’t import photos from your Camera Roll, for instance). 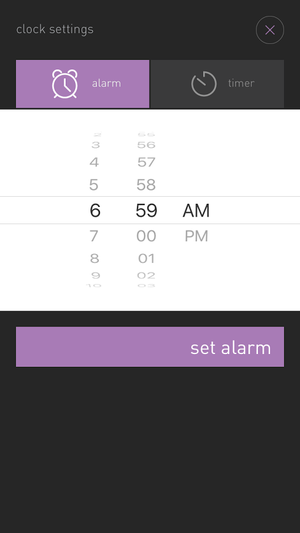 The alarm section of the app lets you set an alarm that flashes your mirror’s lights when it goes off. This is useful when you need to be ready by a certain time; but you can set only one alarm at a time, you can’t set one for your workday and one for an evening date. You can also set a countdown timer, if you prefer to time yourself. Finally, the sensor settings let you adjust the mirror’s sensor settings. You can choose how long the mirror will wait until it turns off after you move away (between 5 seconds and 10 minutes). Mirror mirror on the wall: The fairest of them all? 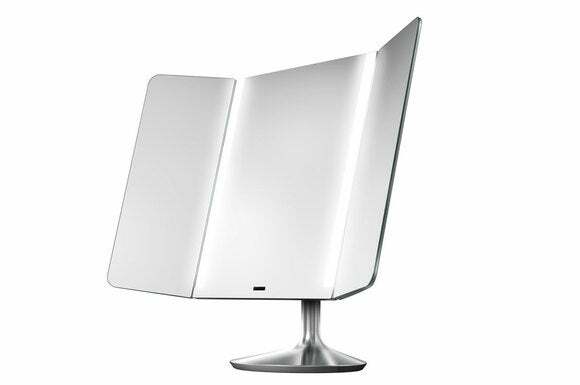 Simplehuman’s Wide-view Sensor Mirror will make a beautiful—and smart—addition to your vanity; but at the end of the day, it’s still just a fancy mirror with some useful connected features that don’t deliver a lot of value. And for all its high-tech features, this mirror doesn’t have a magnification panel, which is something many people (myself included) want in a vanity mirror. This gorgeous mirror’s connected features are fun and useful, but its $400 price tag is hard to justify.